Synthesis of spiritual lineages: the next step toward universal spirituality? 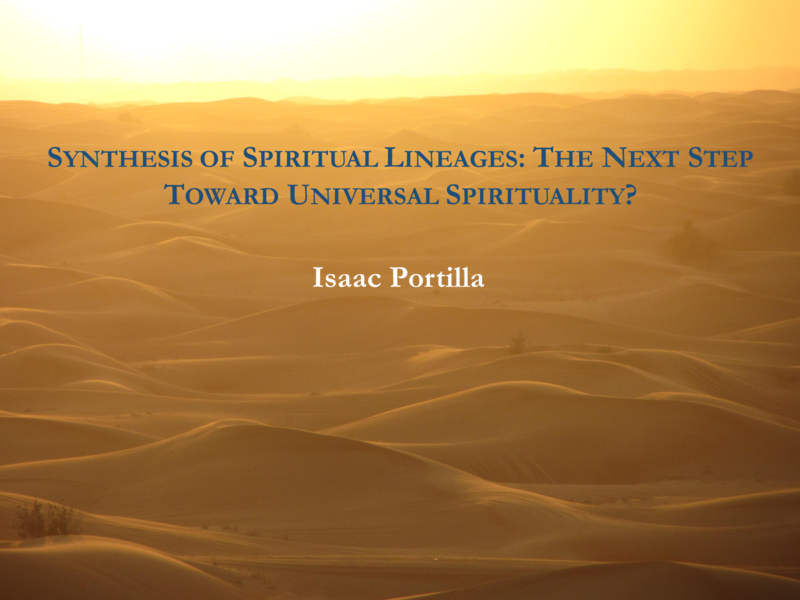 Isaac Portilla is a thinker, author and teacher in the fields of contemporary spirituality and spiritual evolution. His work covers four major areas: scientific-philosophical studies; spiritual teaching; spiritual practices; explorations of divine life. He will be offering an experiential workshop in the field of experiential interfaith, called: Evolution of Mystical Experience and Synthesis of Spiritual Lineages on Thursday, 24th, 16:45-18:00 in room Provence. He believes our spiritual experience, philosophy and practice should be as coherent as possible—there should be internal consistency between what we perceive, what we think and what we do. If you believe there is some truth in the idea of a universal spirituality, then your experience, philosophy and practice should reflect and support that notion. 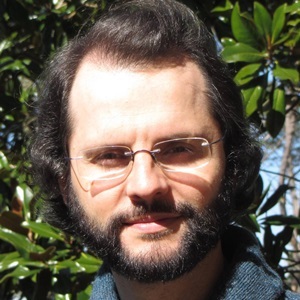 His session will entail a meditative group experience, coherent with a universal philosophical framework he has developed through years of study in four spiritual traditions—Christian, Taoist, Buddhist and Indian Dharma. What follows is an excerpt from his book, The Possibilities of Spiritual Experience: An Autobiographical and Philosophical Exploration. In this excerpt, he explains the first of four advantages of such framework. He sees the advantage herein presented—the respect for each tradition’s contribution—crucial for the emergence of a universal spirituality which is grounded not only in the common elements among spiritual traditions, but also supported by the uniqueness of each tradition included, FIRST: RESPECT FOR EACH CONTRIBUTION. The Three Pillars Model allows the inputs of various spiritual traditions to coexist and cooperate, without the need of reframing them to fit in. The Model avoids unnecessary confrontations between spiritual traditions by means of methodological-scientific enquiry and a justified increase of complexity, not through wishful simplifications (e.g., “All spiritual paths lead to the same goal,” “All teachings are essentially the same”). This approach facilitates the recognition of both the common elements shared by spiritual traditions and the differentiating aspects as well. 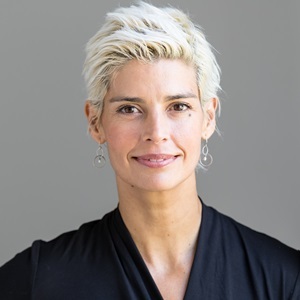 Through the Model, it is possible to acknowledge the contribution of each tradition included in the study (Christian, Taoist, Buddhist and Indian Dharma) from the perspective of a universal paradigm, without altering their own terminology and main principles. Thus, all major contributions—the Taoist wisdom regarding vital energetics, the Buddhist concept of Emptiness and the four Formless Absorptions, the Atonement through Christ and its link with spiritual Regeneration, and the Yogic profound understanding of the workings of the Spirit Force and evolution—find its place in the Three Pillars Model without the need of diminishing their value. The same can be said for their methods, as there is a way the Taoist forms of meditation, the Zen practices for Awakening, the Buddhist Mudras, the Advaitic forms of enquiry, the Christian mysteries, and the Yogic methods of working with the Spirit Force, can be experientially reconciled, incorporated into one’s own practice, and some aspects of them even reformulated, through a process of evolutionary synthesis. Within the context of spiritual philosophy, the respect for each contribution (when true and justified) is extremely useful, as it can solve many outer-social and inner-personal problems, like those existing when individuals within the same group (family, community, country, etc.) practice different traditions, or when a single individual practices two or more spiritual traditions (even if it is for different purposes). For example, the combination of Christian beliefs, teachings and prayer, with Buddhist contemplation, Taoist moving meditations, and physical Yoga, is quite common nowadays. Still, most people who do practice a combination of that kind would have a conflict if they were to accept the goals and full spiritual value of all these traditions, because they cannot put together the different Buddhist, Taoist and Yogic spiritual philosophies with their own Christian beliefs, except by the above-mentioned wishful simplifications (“Many paths, one goal,” etc.). However, through a proper understanding of the Three Pillars Model and its implications, they certainly could, since Christ’s contribution is fully accepted without the need of diminishing other traditions’ contributions, and vice versa. The respect for each contribution also opens the dialogue among spiritual traditions, which could have a tremendous impact for their social integration within cultures foreign to those in which they were born. Eastern traditions could be seen with less suspicion in the Christian West and Christianity could be seen less dogmatic and more open in the East, in both cases obtaining value from the exchange of wisdom. Indeed, Western experiential spirituality has struggled over more than a century to find a satisfactory way to reconcile Christianity with the Eastern traditions that have informed and greatly influenced its spiritual thought, lifestyle and practice. A major impediment to find a satisfactory solution to conflicts between spiritual traditions is the inflexibility of their philosophical models or frameworks. If the unique contribution of a tradition is not acknowledged (because it does not fit in the assumed model of another one), there is no room for a common understanding. A clear example of this problem is Christ’s contribution when seen from the perspective of Eastern traditional models. Truly speaking, Christ’s contribution cannot be framed in a philosophical model which advocates for an absolute impersonal conception of the Divine (God is merely Oneness) nor in a binary model (God is Oneness and Force). We may accommodate some Zen-Buddhist and Advaitic contributions into impersonal models, and some Yogic and Tibetan Buddhist contributions into binary models, but neither Christianity (the path of personal Regeneration and Resurrection in Spirit) nor Taoism (the path of personal spiritual Immortality), nor Aurobindo’s Integral Yoga (the path of Supra-mental Transformation), would find its place there. Such an unfit has often resulted in the mistaken categorization of Christ as an “enlightened being” (in the Buddhist sense), or as an “accomplished Yogi” (in the adept-disciplinary sense), or as an “Avatar” (in the Indian Dharma sense), when the Christ should be recognized in His own terms, within a paradigm that respects Christ’s contribution. In a similar manner, Aurobindo, otherwise considered “a Giant” of spirituality at large, is still often thought of by many as an “enlightened man” or a classical “Yogi,” when, in fact, he considered all classical Nirvanic, Advaitic and Yogic attainments insufficient, his work being focused on the Overmind and Supermind descents, both Supra-mental processes which implied divine energetics and sacrifices superior to these. The text above is an excerpt from the book, The Possibilities of Spiritual Experience: An Autobiographical and Philosophical Exploration, by Isaac Portilla.